MILAN -- Fiat said Wedneday it had signed an agreement to buy the remaining 41.46 percent stake it does not own in Chrysler Group from the United Auto Workers VEBA Trust, the last step needed before the Italian and U.S. carmakers can merge. In a statement, Fiat S.p.A. said the voluntary employee beneficiary association, which covers health care costs for the union's retirees, would receive $3.65 billion for the stake. Chrysler also agreed to separately make a total of $700 million in four annual payments to the UAW's trust fund. The deal is expected to close on or before Jan. 20, Fiat said. "In the life of every major organization and its people, there are defining moments that go down in the history books," Sergio Marchionne, CEO of both carmakers, said in a statement. "For Fiat and Chrysler, the agreement just reached with the VEBA is clearly one of those moments." Fiat Chairman John Elkann said in the statement he has been looking forward to this day since the rebuilding of Chrysler began in 2009. "The work, commitment and achievement I have witnessed from Chrysler over the past four and a half years is nothing short of exceptional, and I take this opportunity to officially welcome each and every one of the people in the Chrysler organization to the integrated Fiat-Chrysler world." The deal will allow Chrysler to avoid an initial public offering. Fiat will pay the trust $1.75 billion from cash on hand when the deal closes. The Turin-based company said it would not need to make any capital increase through a rights issue. Chrysler will contribute $1.9 billion through a special dividend to complete the transaction for the 41.5 percent stake. The $700 million will paid in a series of four, $175 million annual payments from Chrysler to the VEBA trust, but come with a change agreed to by the UAW. With the payments, the UAW has agreed that its members will adopt the best practices in use in Fiat plants around the world, instead of those just in use within the United States, a Chrysler source explained. Exactly how this will play out in still unclear. The UAW could not be reached for comment. No specific details were included in a separate statement issued by Chrysler. Currently, under Fiat's World Class Manufacturing system, its most productive plants in North America are the Windsor (Ontario) Assembly Plant, the Toledo (Ohio) Assembly Complex and the Dundee Engine plant in Dundee, Mich.
All three plants have achieved "bronze" status under the system's scoring, which measures a broad array of manufacturing metrics and boils them down into a score on a 100-point scale. To achieve bronze status, the plant has to have a score of at least 60. 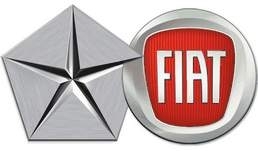 Other Fiat plants globally implemented World Class Manufacturing earlier than did Chrysler's plants, and some have achieved silver or gold status. The size of the transaction is lower than many analysts forecast. Banca Akros estimated in December that Marchionne would need to pay $4.5 billion for the holding. Full ownership of Chrysler will enable Marchionne to create a global industry player with better scale to challenge General Motors Co. and Volkswagen AG. He has tried since taking the helm at Fiat in 2004 to buy a competitor to give the struggling Italian manufacturer a worldwide market strategy for growth. "Marchionne did a stroke of genius in the New Year's Day," said Giuseppe Berta, a professor at Bocconi University in Milan who has written several books on the carmaker. "He showed he's a real maestro." Marchionne estimated in June that Fiat and Chrysler combined would be the world's seventh-largest carmaker. Merging the two companies would allow Fiat to pool cash with Chrysler and tighten cooperation between its Alfa Romeo, Lancia and Maserati brands with Chrysler, Dodge and Jeep. Fiat has relied on Chrysler to sustain profit amid losses in Europe, where the car market has fallen to a two-decade low. Group net income, including minority holdings, totaled 1.41 billion euros ($1.94 billion) in 2012. Without Chrysler, Fiat would have posted a 1.04 billion euro loss. Fiat started accumulating Chrysler stock in June 2009 as part of a government and labor union bailout of the U.S. carmaker, which was losing as much as $100 million a day at the time. Rather than paying cash for the initial 20 percent holding and subsequent 15 percent stake, Fiat provided management experience and technology and helped Chrysler meet various performance milestones, such as developing models. Reuters, Bloomberg, Larry P. Vellequette and Philip Nussel contributed to this report.